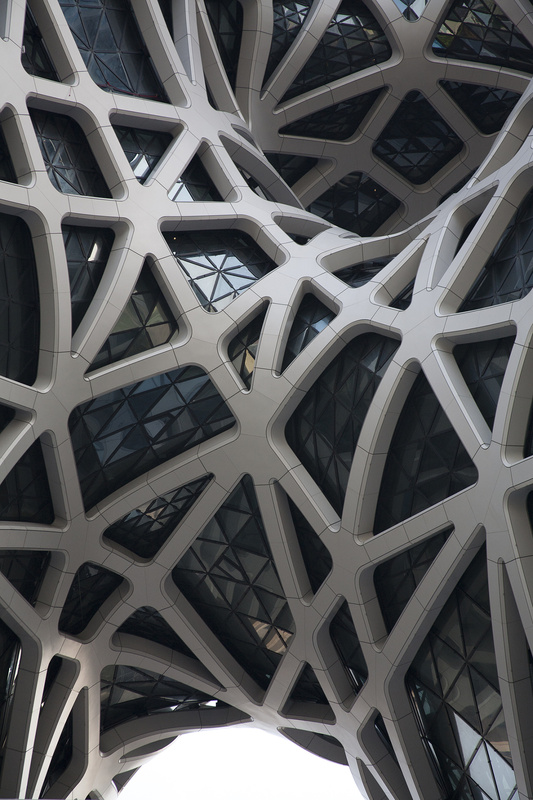 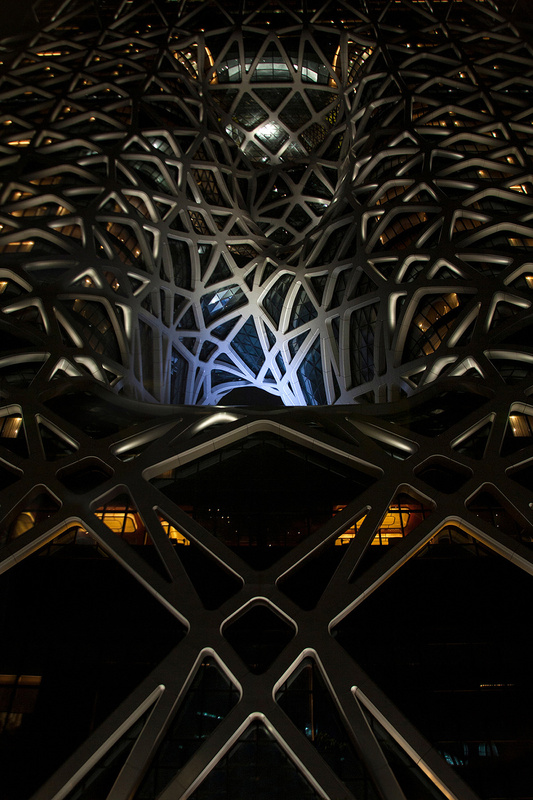 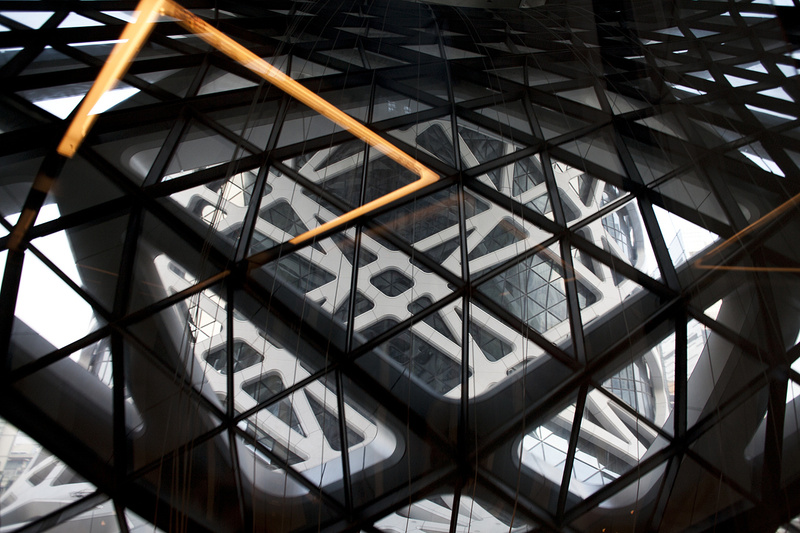 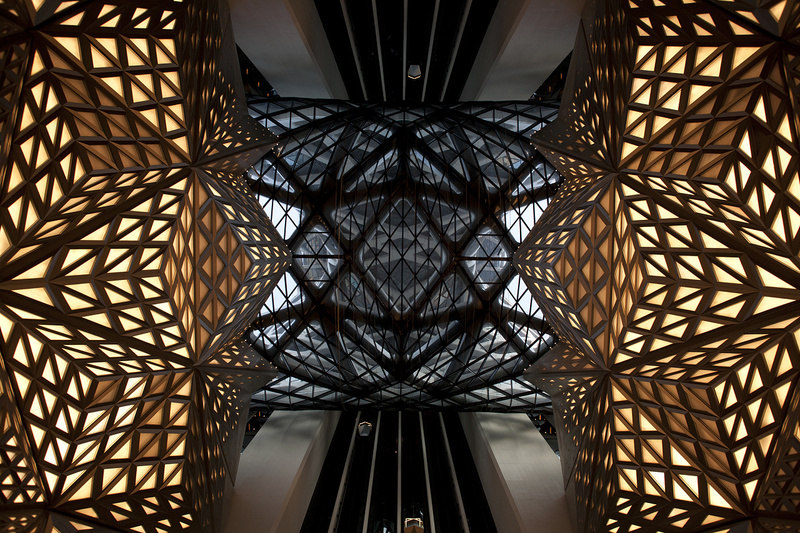 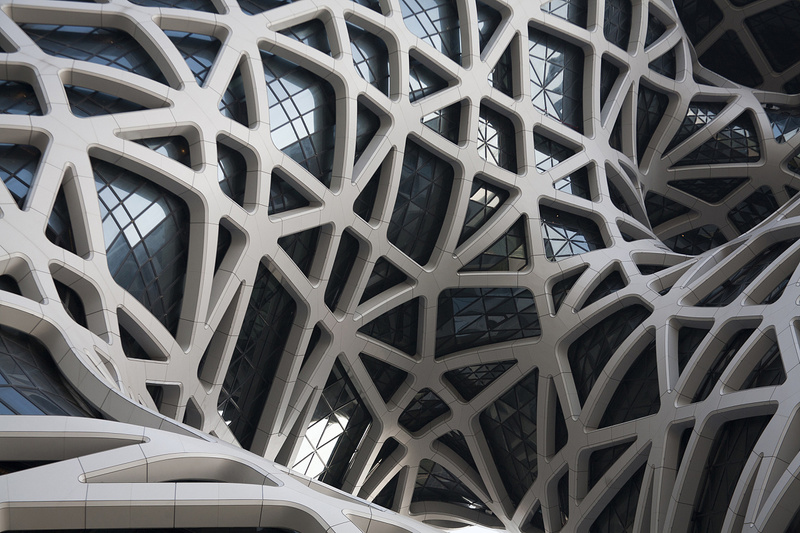 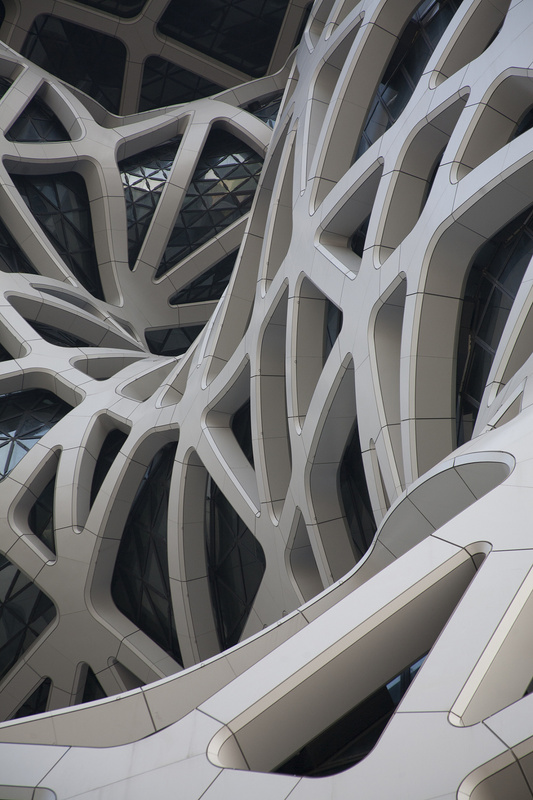 According to Zaha Hadid Architects, the building is the world's first free-form high-rise exoskeleton, its rich pattern of structural members at lower levels progresses upwards to a less dense grid of lighter members at its summit. 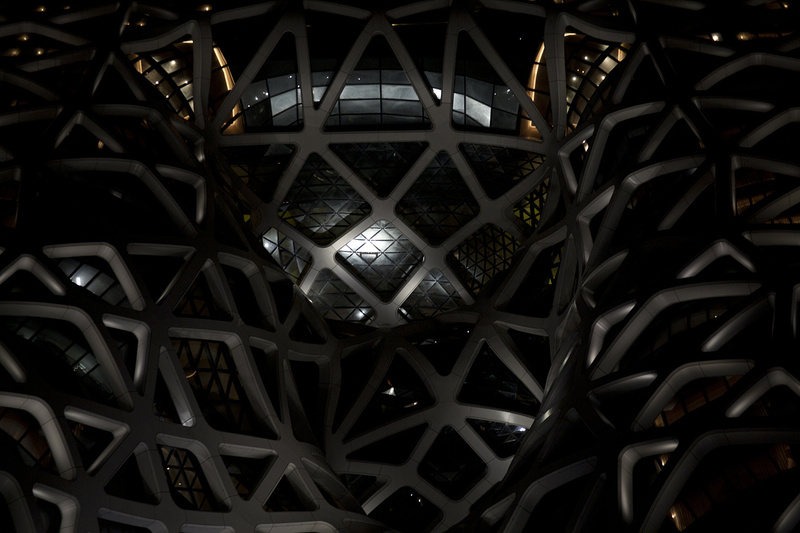 Informed by the fluid forms within China’s rich traditions of jade carving. 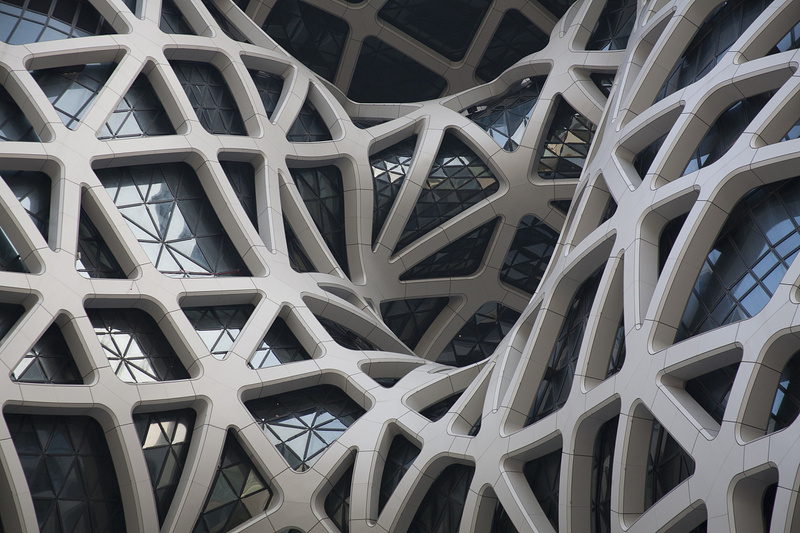 Morpheus offers a journey of the imagination. 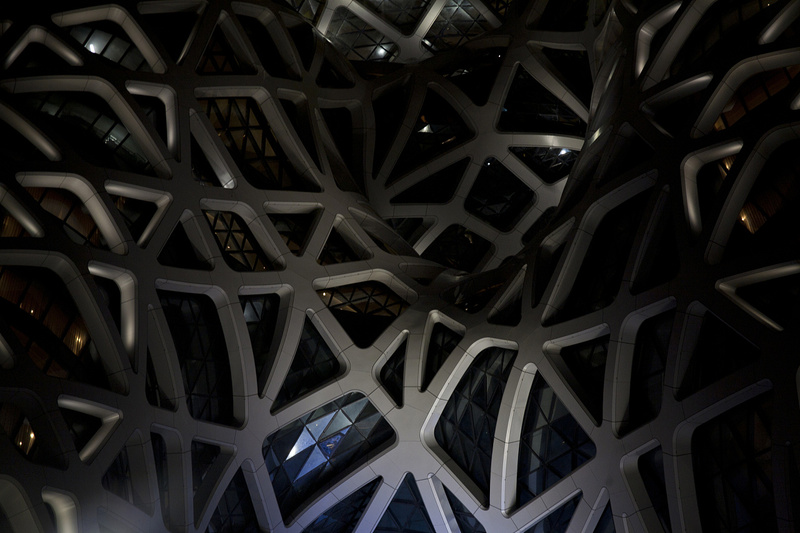 From the curved exterior to the dramatic interior spaces, it pleases the eye and excites the senses: a contemporary masterpiece to be enjoyed by many generations to come.